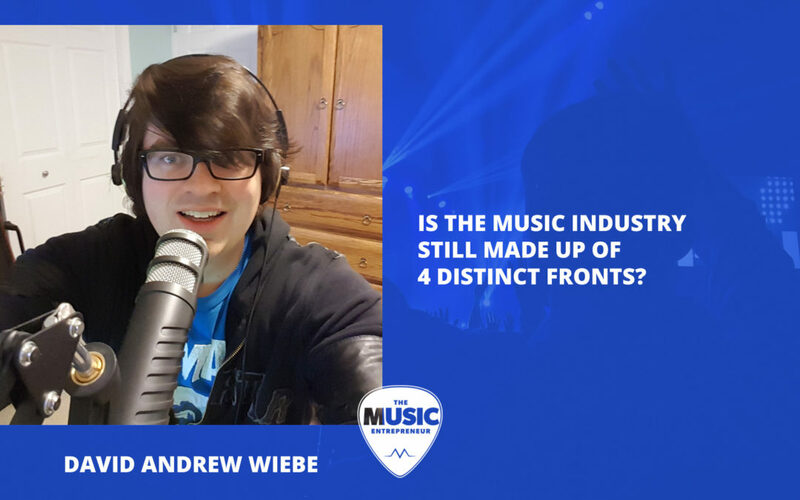 005 – Is the music industry still made up of 4 distinct fronts? The music industry has a shape to it, and as musicians and professionals, it’s our job to be aware of what that shape is. Christopher Knab of FourFront Media & Music observed that the music industry is made up of 4 distinct fronts. Is this still the case? In 2013, I had the chance to chat with Christopher Knab, owner of FourFront Media & Music. He observed that a lot of the terminology that gets used in the music industry is connected to waging war. Think of the terms “campaign” or “target” for example. These days, it isn’t unusual to hear a word like “target” in connection with audience, or “campaign” in connection with crowdfunding, but Knab also observed that the industry was made up of four distinct fronts, which is why his company is called FourFront Media & Music. You could also call these “the 4 P’s” of the music industry. I believe the 4 P’s are still incredibly relevant in today’s music industry, though I don’t think there is much emphasis placed on artist development any more. In my book, The New Music Industry, I talked about how there are actually 11 components to the music industry. Arguably, each of these components could be slotted into the 4 P’s we just talked about. But after doing a lot of research and reading, these 11 keywords emerged, so I wrote an article about it, and even made it a part of my book. What if the music industry was made up of 11 components instead of the 4 it used to be? How would that change your perspective? If you had a better understanding of how the music industry is shaped, do you feel you would be better equipped to build a successful career? Why or why not?